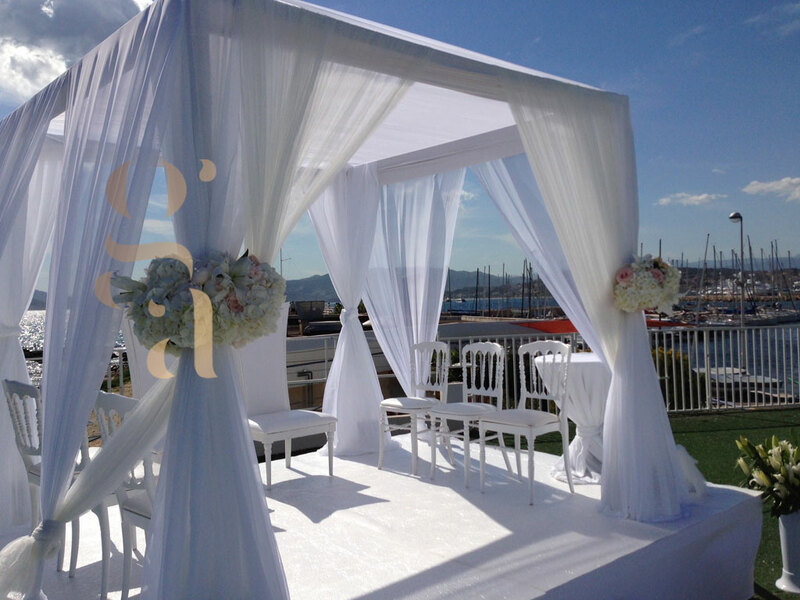 Our know-how enables us to adapt to all types of structures and locations. 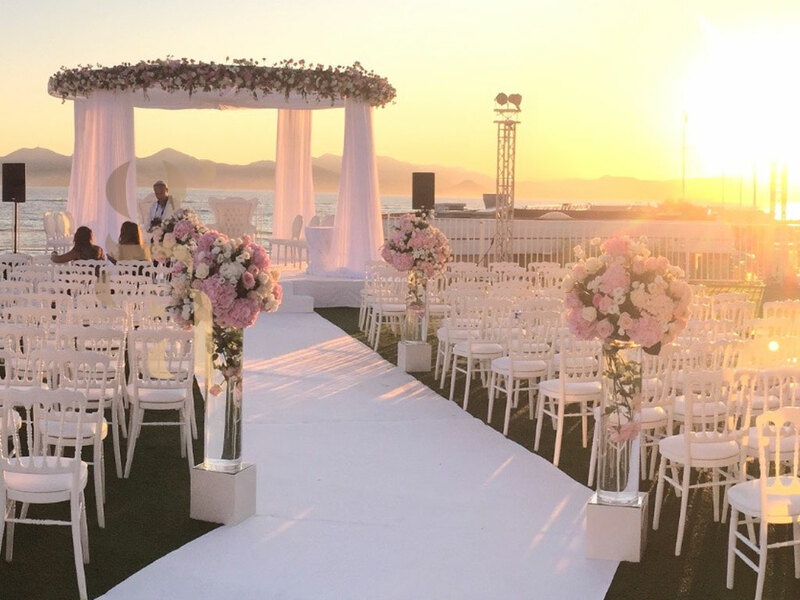 Traditional, square, round, made of bamboo or our new chic bohemian, wood and flower stars, the wedding Houppa is an essential element to your wedding. 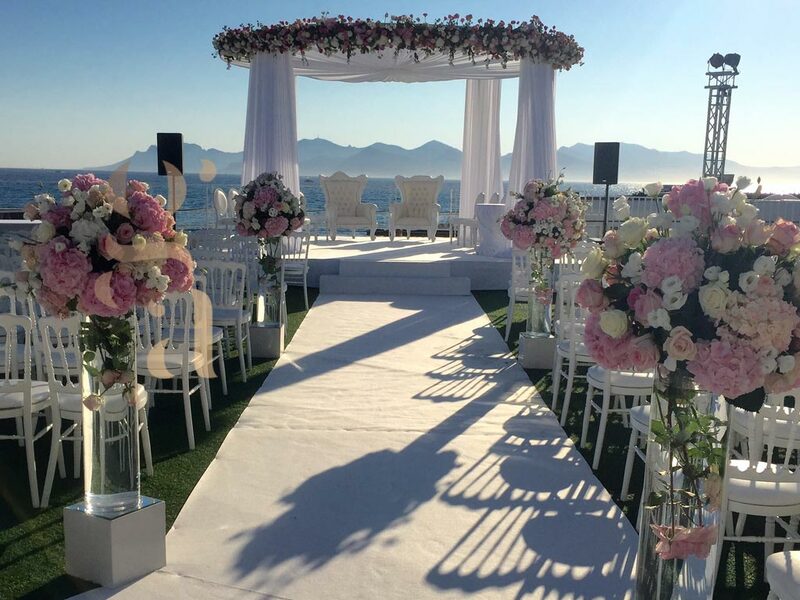 Gustavo will know how to create the floral decoration that will make your Houppa unique and that will look just like you, in which will take place the ceremony for your union. 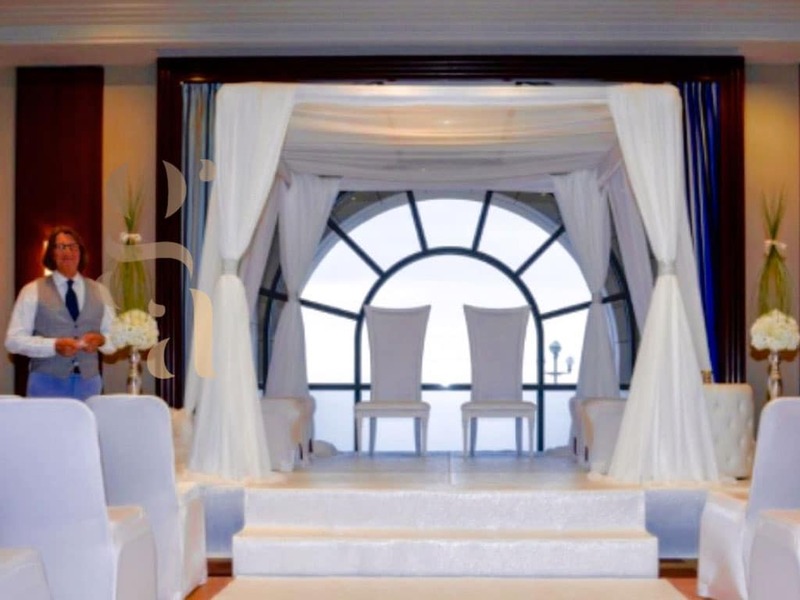 Always beautiful and romantic, our Houppas will seduce you and bring the main element of decoration during the union ceremony. 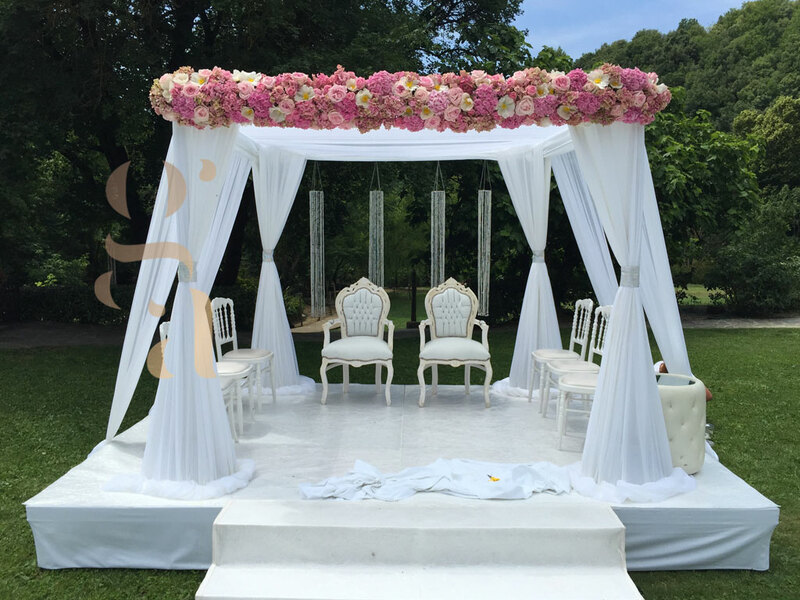 A wedding Houppa, whatever your choice, adds a touch of magic and tradition to your wedding, and we are committed to making our Houppas as unique and personalized as all other aspects of your wedding will be. 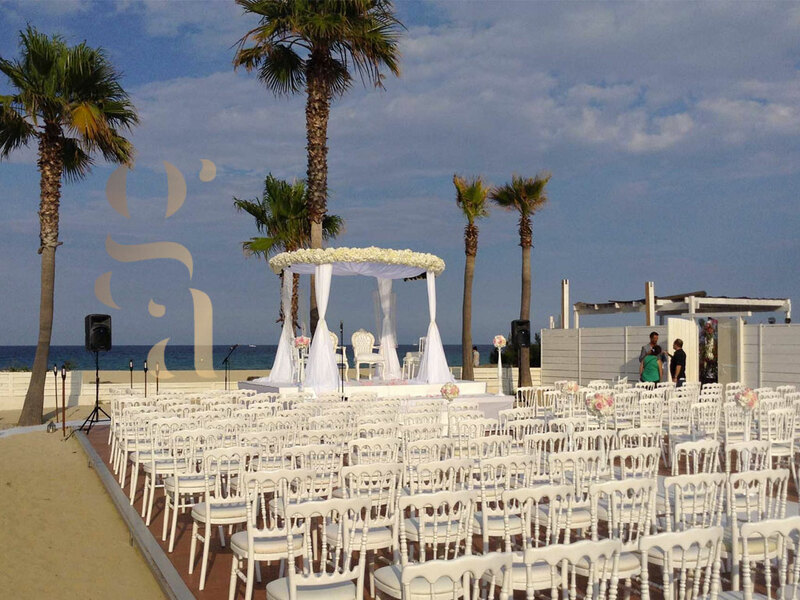 We have a large choice of wedding Houppas at your disposal, do not hesitate to contact us so that we can determine together which one will be yours, which one will correspond to you and which one will be integrated into the decoration and the atmosphere of your wedding. 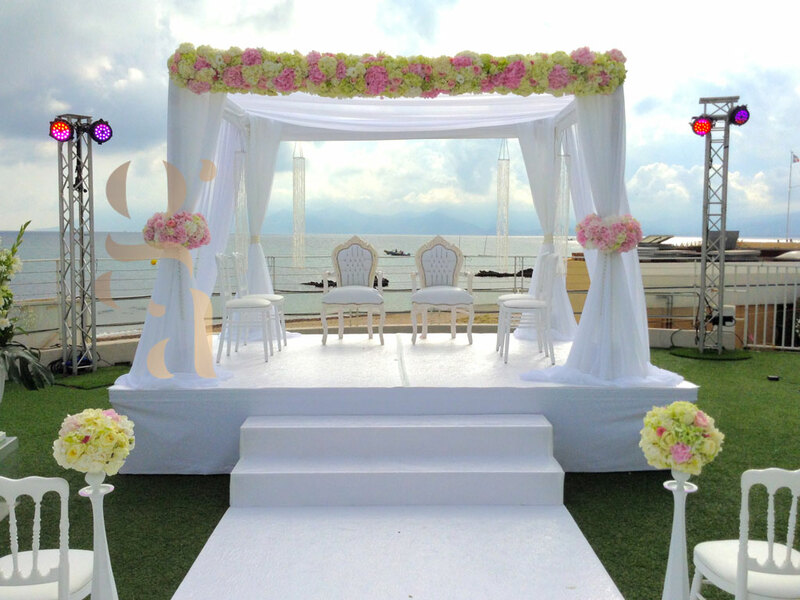 Wishing to bring you as many choices as possible, all our Houppas are customizable, you will find among ours, the most beautiful Houppas of quality, nicely decorated, as a jewel case in which you will be united in front of your friends and families. 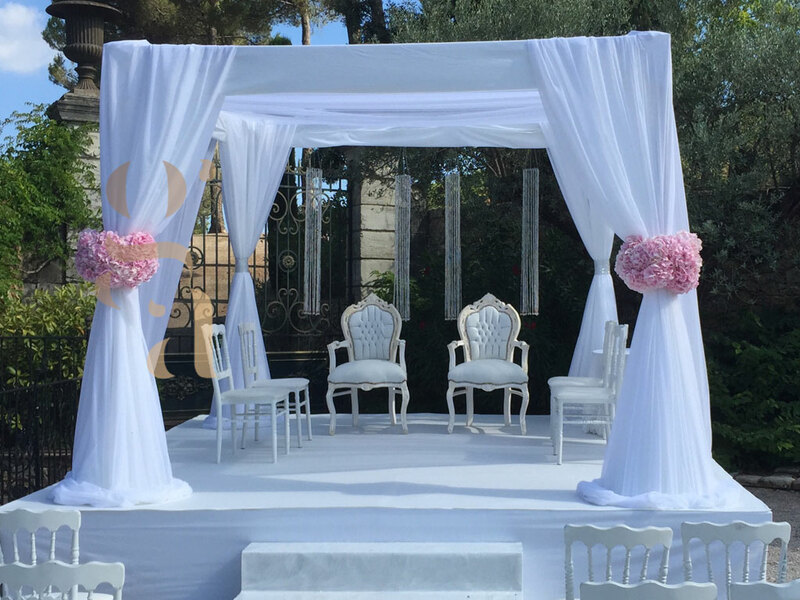 This wide choice of Houppas and possibilities allows us to integrate any type of colors, decorations, sizes, and to infinity to be able to suggest to you splendid Houppas. 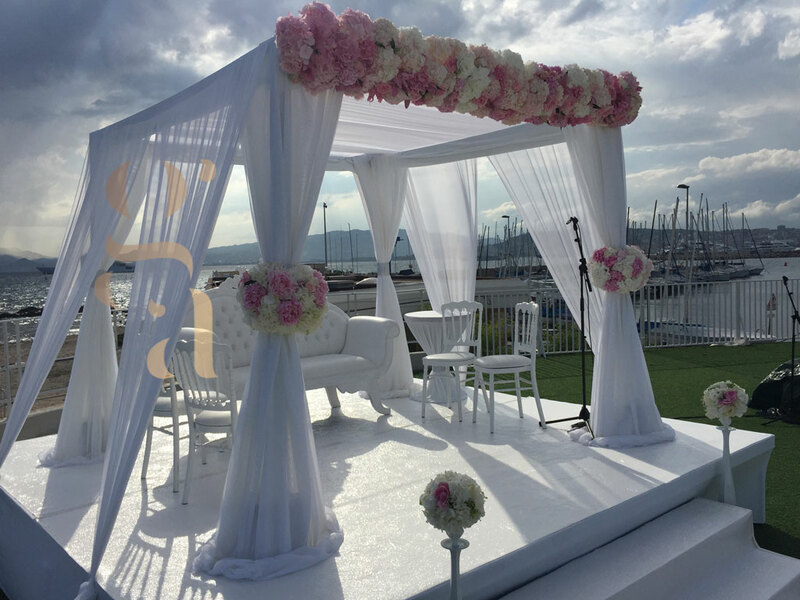 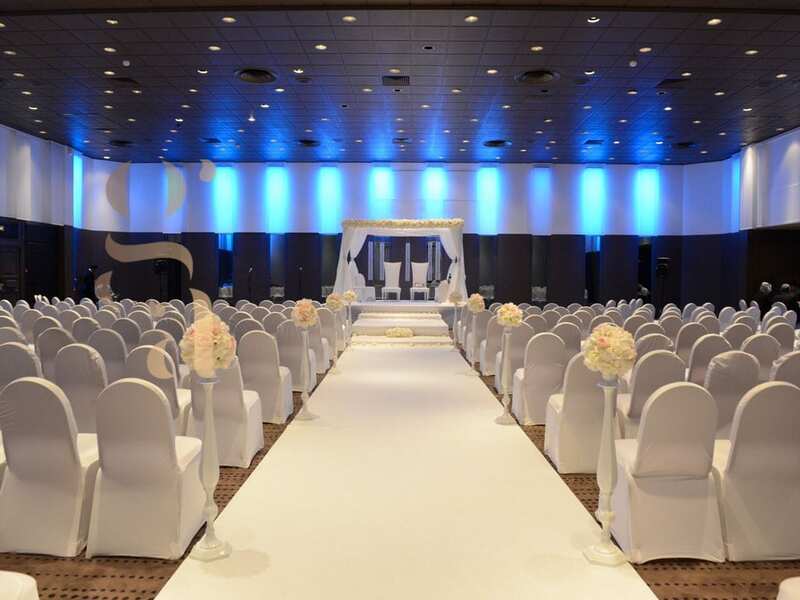 A Jewish wedding in the rules of the art, with professionals at your disposal to make your wedding the most magical and enchanting. 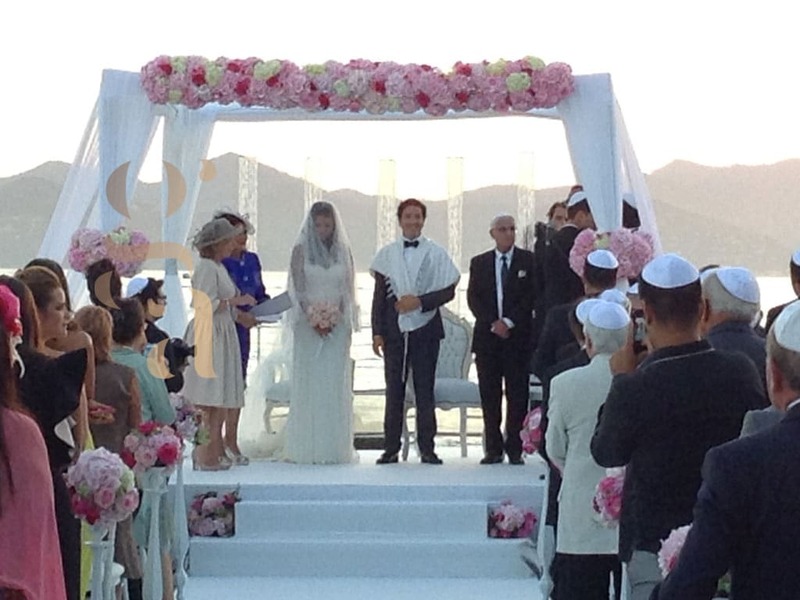 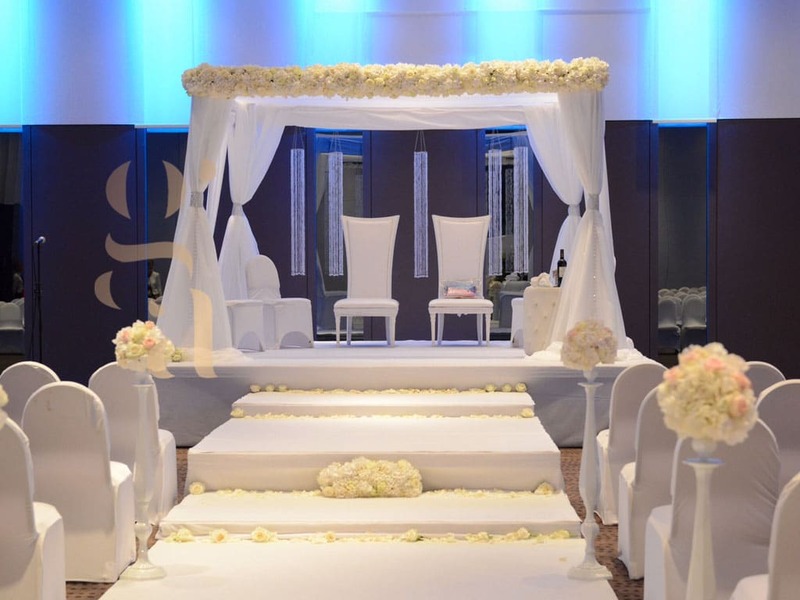 A wedding Houppa: Know-how above all! 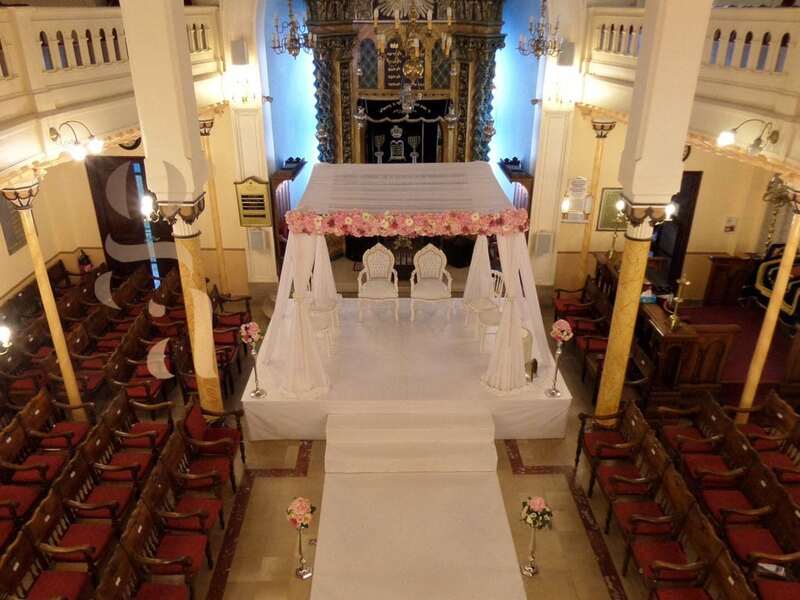 The composition of this traditional canopy consisting of a sheet, a cloth, sometimes a prayer shawl, supported by four pillars will be the subject of the greatest attention on our part to elaborate with you the home of your union. 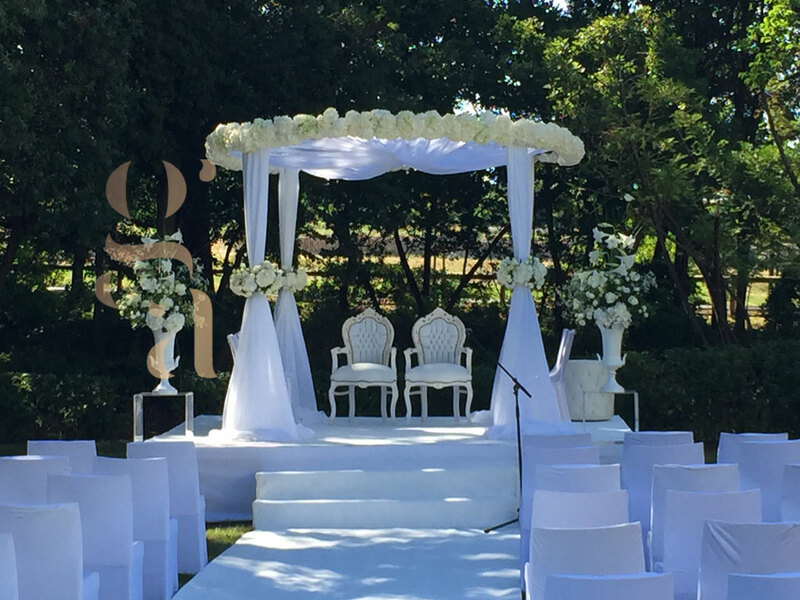 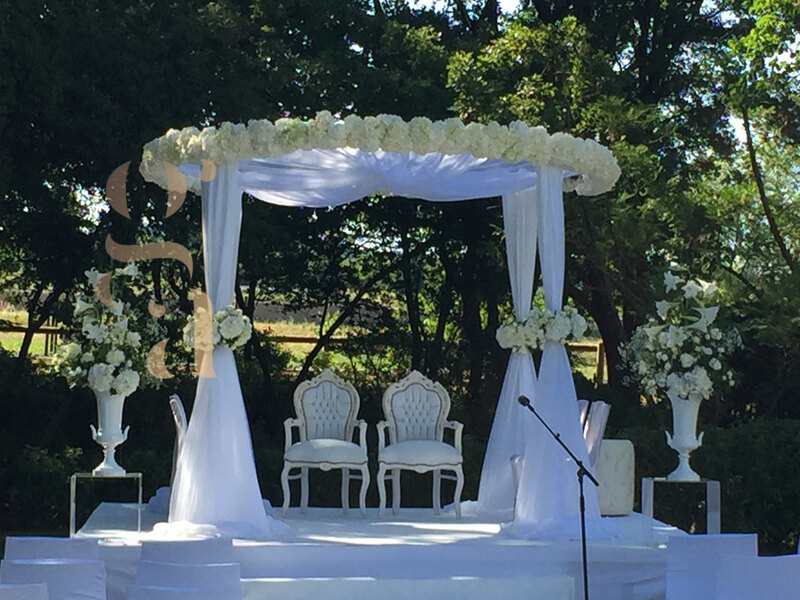 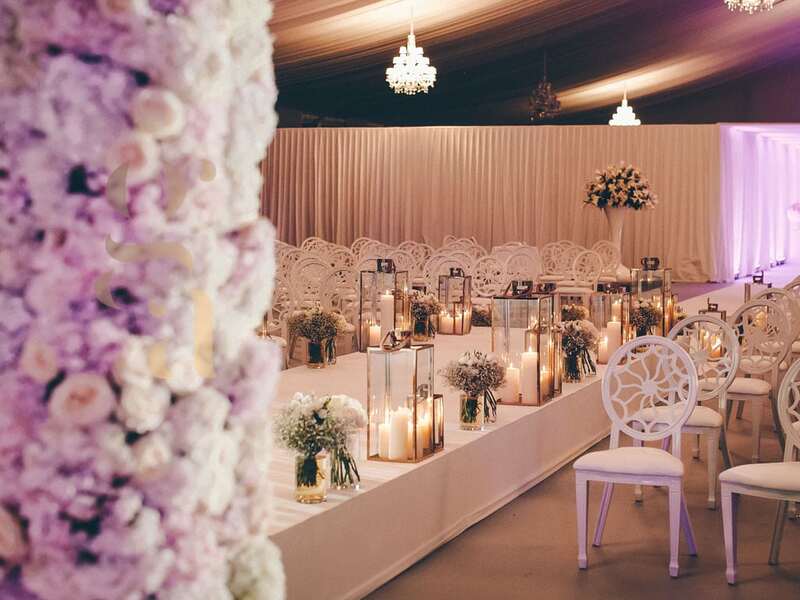 The quality of the realizations and the beauty of the staging of our wedding Houppas have contributed to build over time Gustavo Averbuj’s fame! 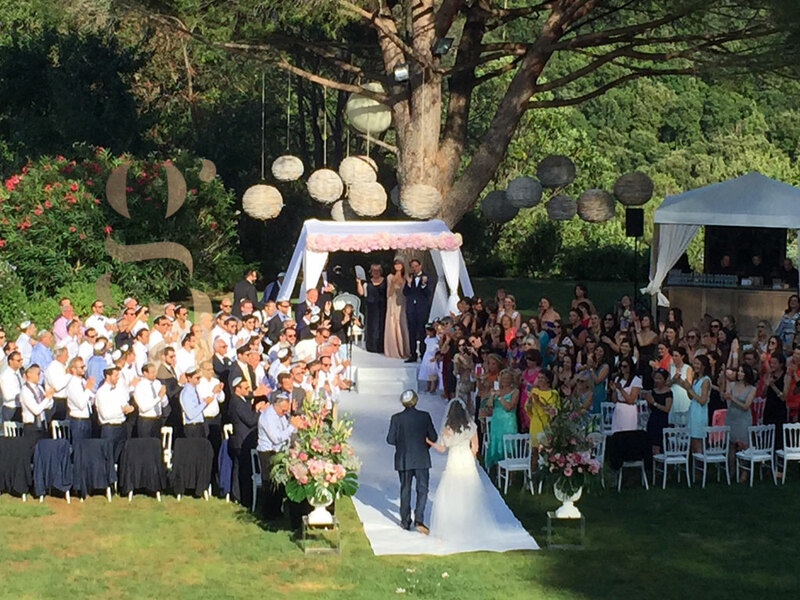 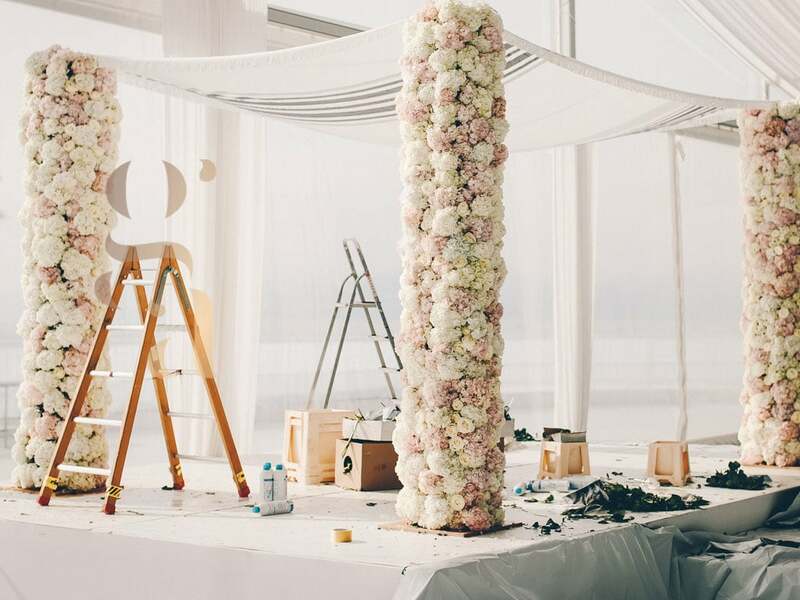 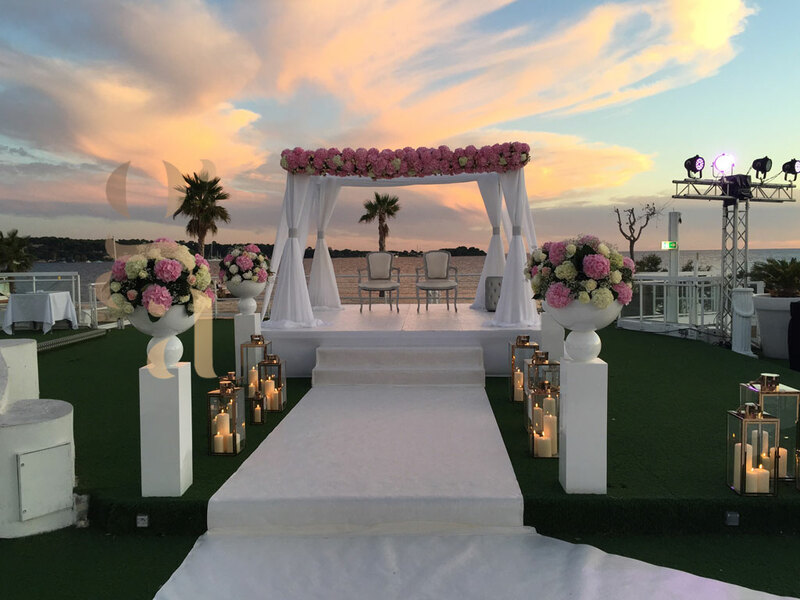 His unique and personalized creations make each wedding unique and exceptional, based on your desires and tastes and adding the eye of the professional wedding planner, the result is striking and each couple is united under a perfect Houppa. 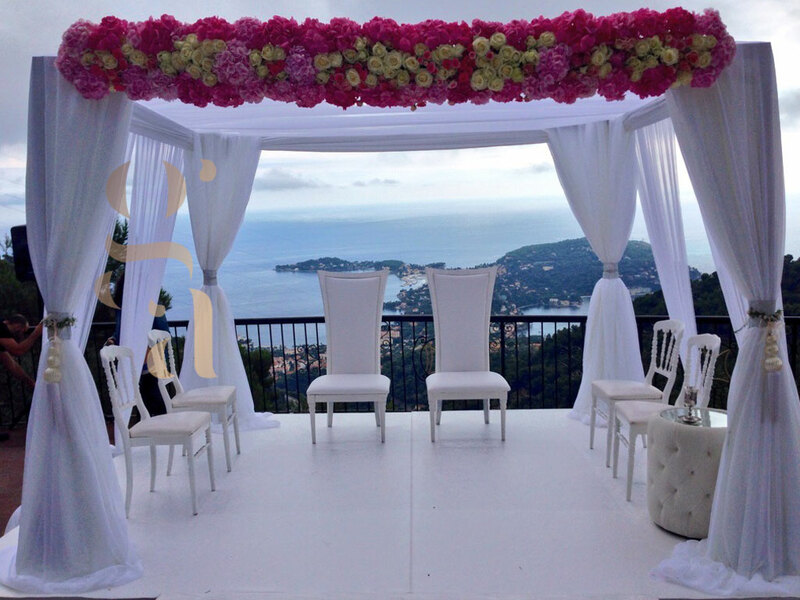 You choose the one that will look like you! 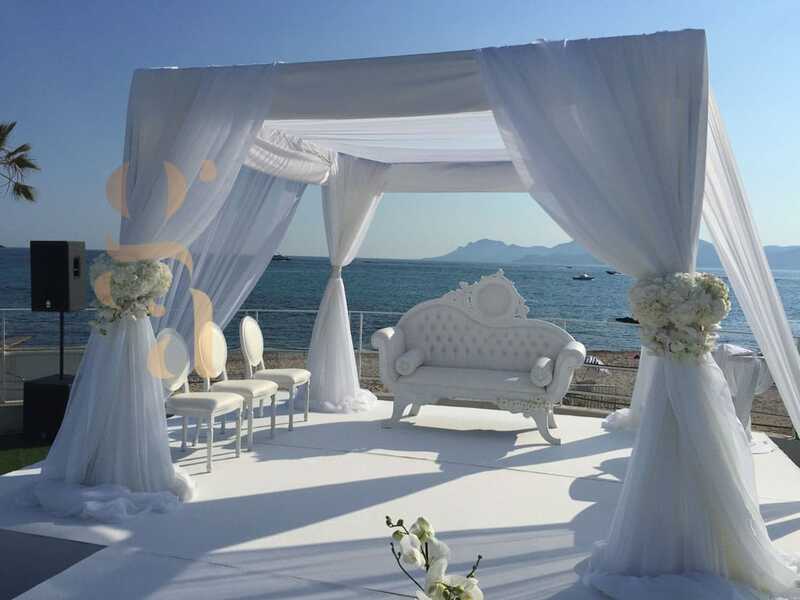 The various weddings, which you will find in our portfolio, were all marked by the success of the decoration and our Houppas are one of the most noticed elements. 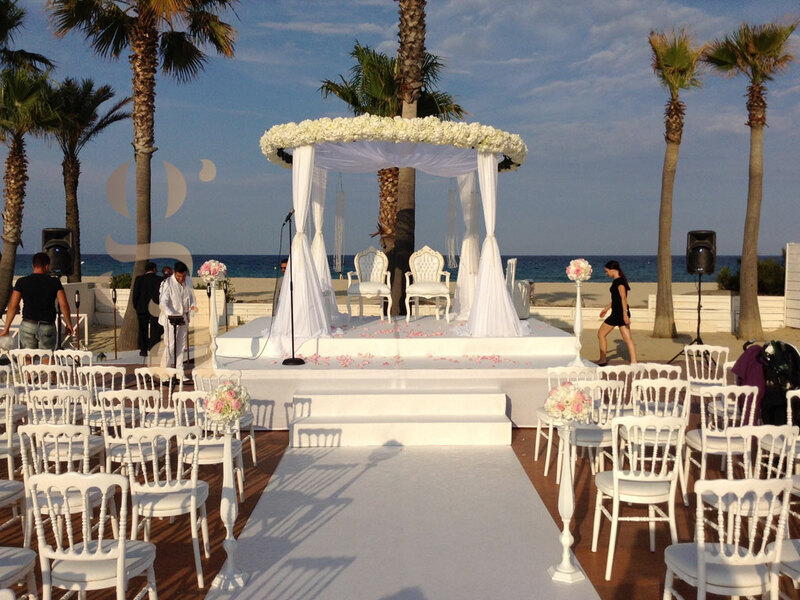 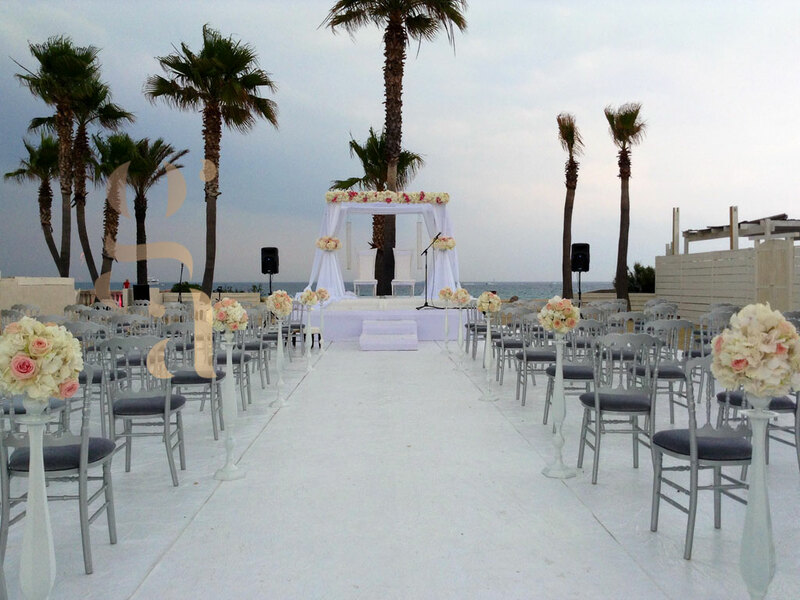 Inside and outside, we adapt the wedding Houppa to the environment where your union will take place, we prepare the Houppa, the chairs where your friends and family will sit, the path you will walk up, the decoration as a whole and create a picture that will be worthy for you and your desires. 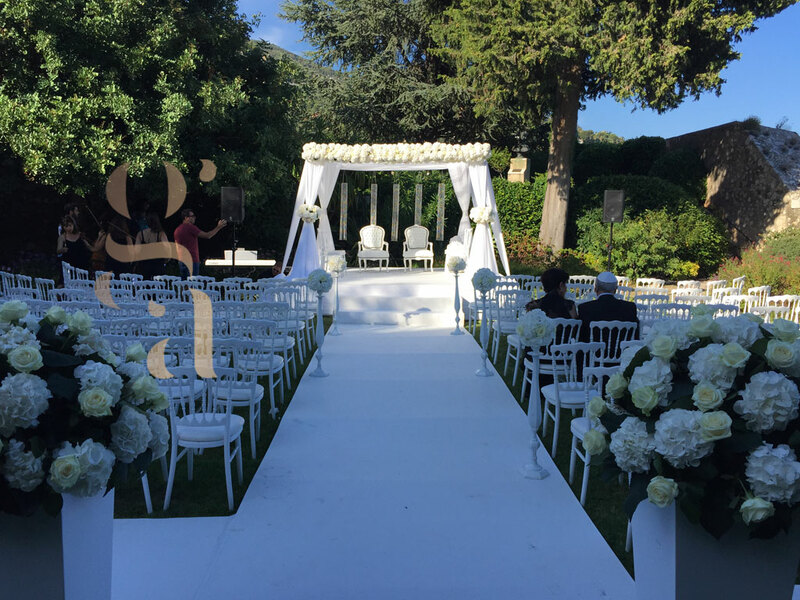 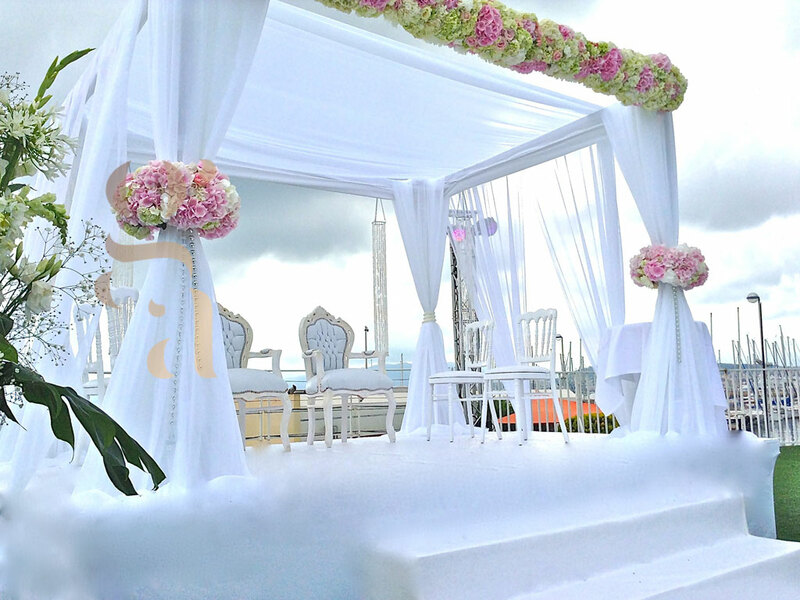 Your wedding will remain engraved in your memory for the rest of your life, and we are proud to contribute to making this event perfect, it will be our most cherished goal and wish. 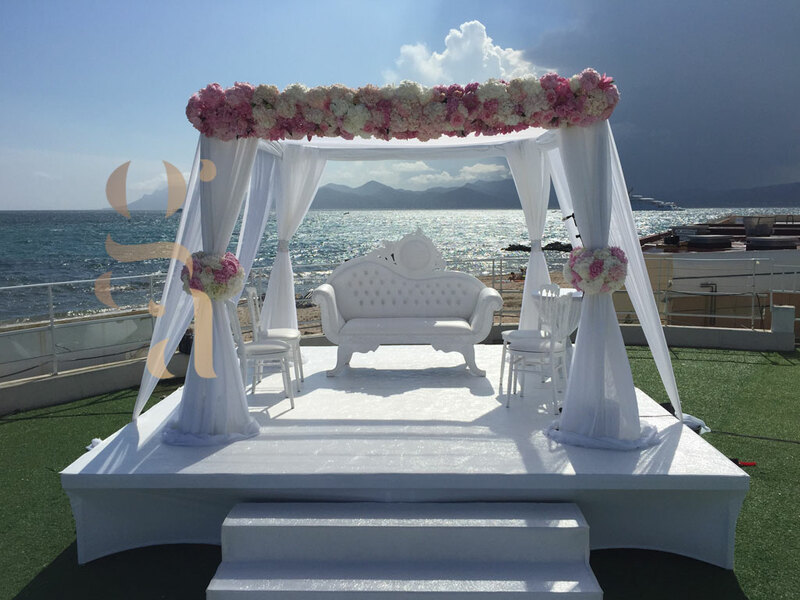 Symbolically representing the home, the Houppa you choose will be your first home as a married couple, we take the time to listen to your desires and make you this unique place where will take place the promise of a life for two. 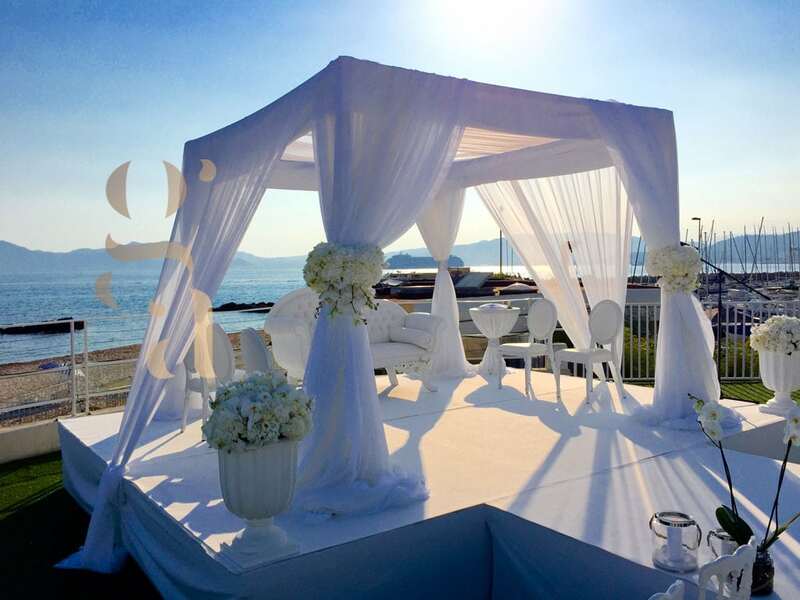 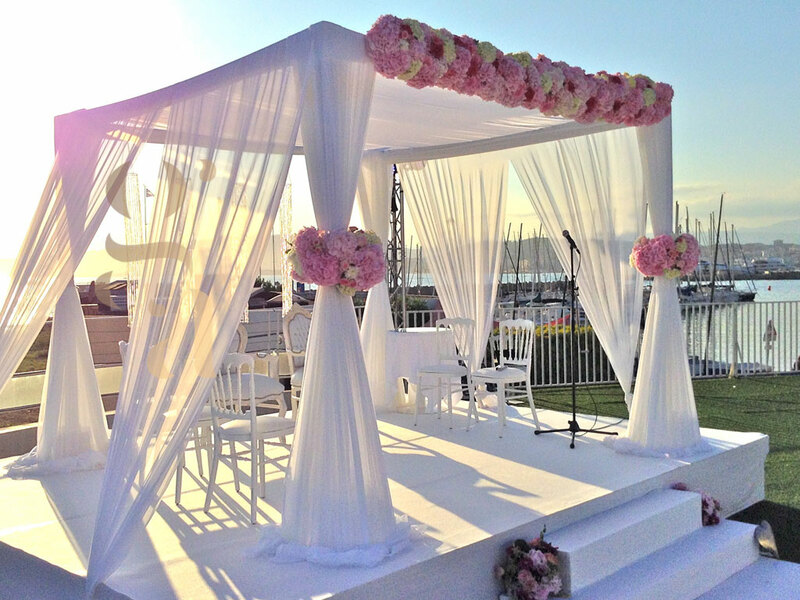 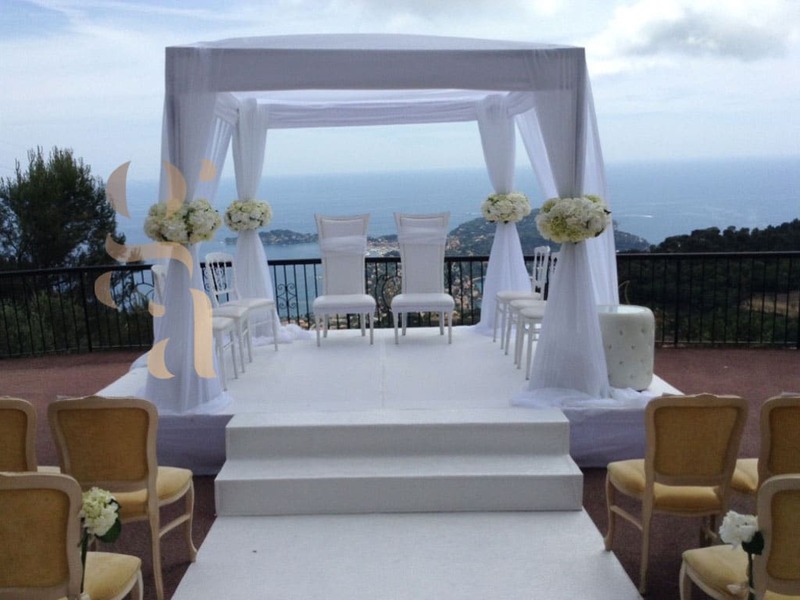 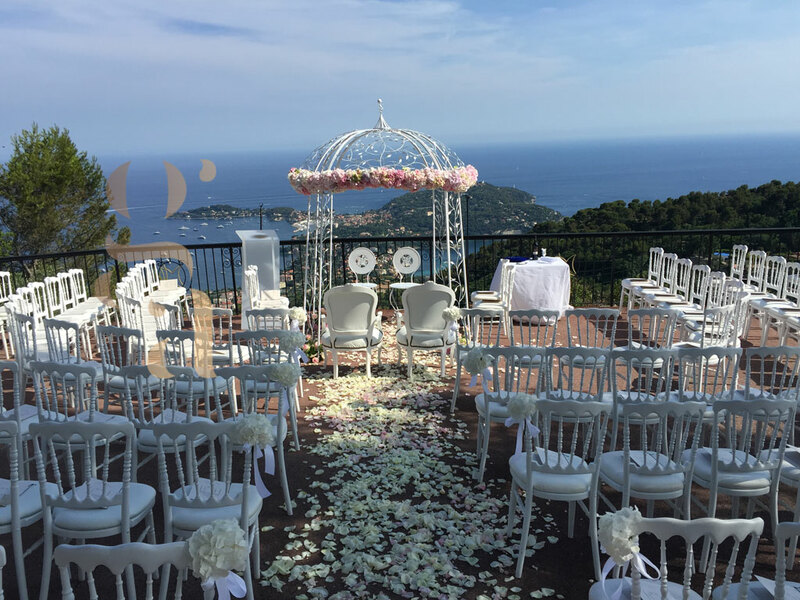 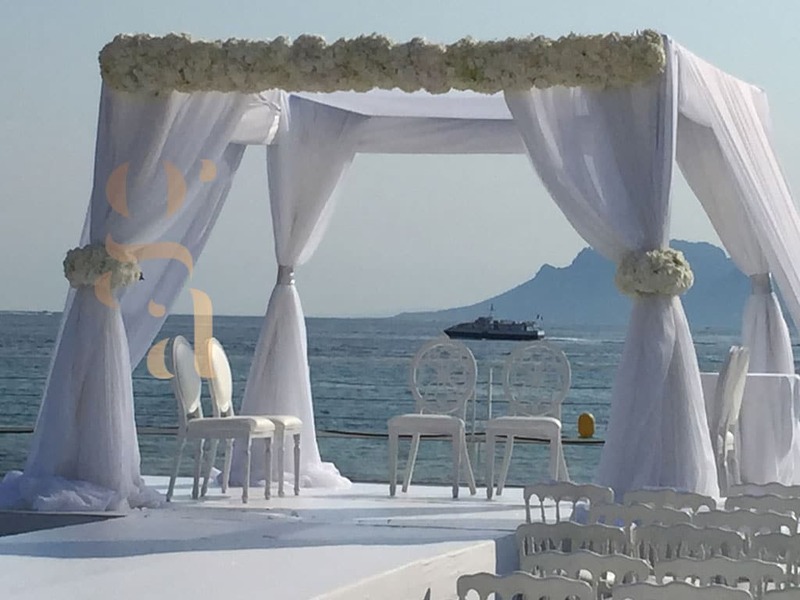 For your wedding on the French Riviera, you can imagine a setting taking place with view on the sea, with the wedding Houppa which you will have chosen, and in front of your family, you will thus offer to all and especially to yourself an idyllic and unforgettable setting. 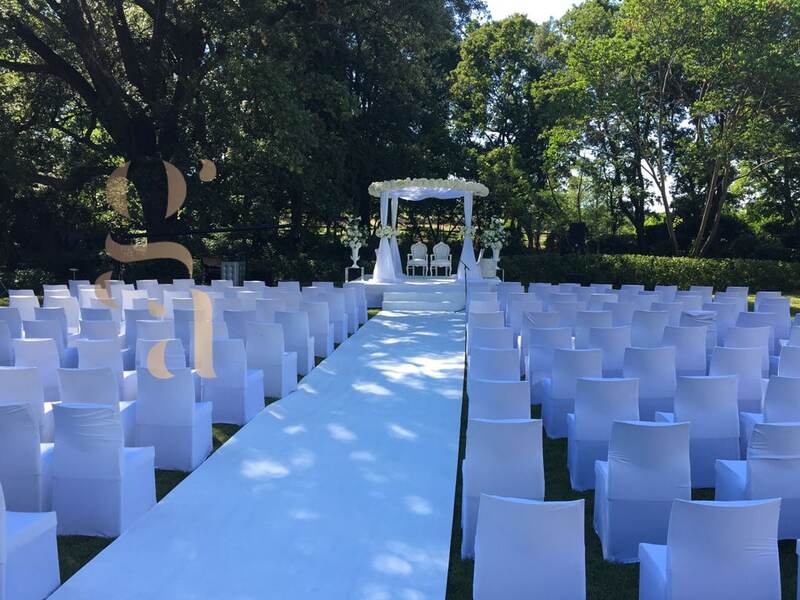 Gustavo will be able to accompany you in all the stages of the preparation of your wedding, and the making of the Houppa, will be one of the central elements.